History: child with left shoulder pain after bicycle accident. 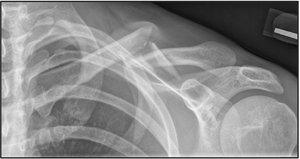 Clavicle Fracture – a fracture is seen at the mid left clavicle (yellow arrow) with mild apex cephalad angulation. 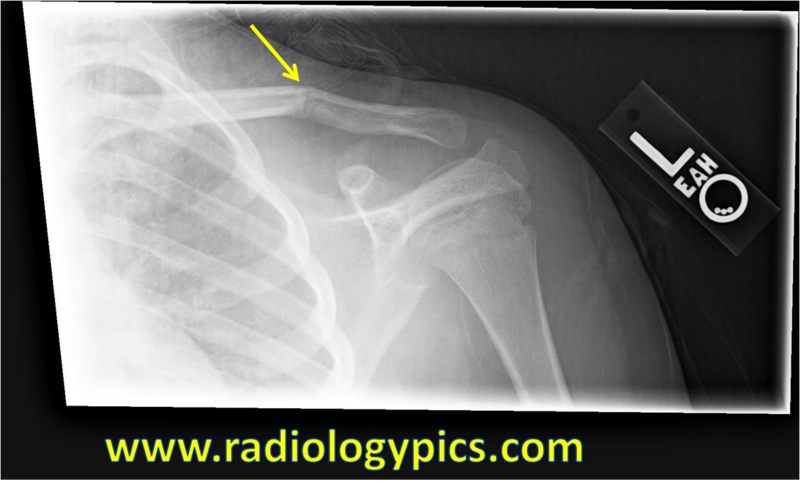 Buckle fractures: angular deformity found at the site of compression impact, opposite side cortex of bone is intact. Plastic bowing fracture: bowing deformity without visible fracture lines. See one here.